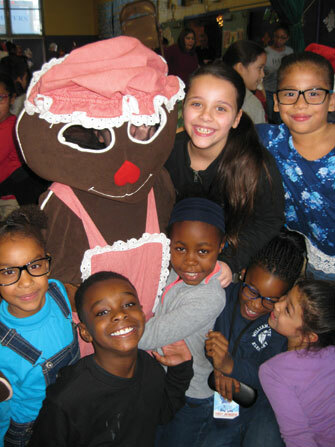 NEARI Children’s Fund Gingerbread Express is a program that links members and friends with public school students who are facing a bleak holiday season. The program has embraced thousands of children in need over the years. In many instances, the gifts from the Gingerbread Express are the only gifts the child received. A gift tag cutout in the shape of a gingerbread cookie is made for each of the student recipients listing clothing and shoe sizes along with the child’s wish list. The cutouts are then distributed to NEARI members and friends who are willing to be anonymous donors and fulfill the child’s needs. To preserve the dignity of the students, the identity of the giver and the recipient is withheld.